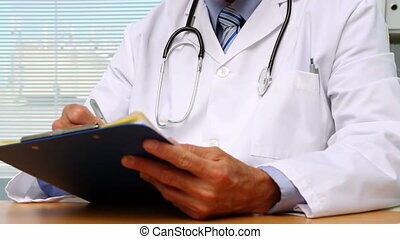 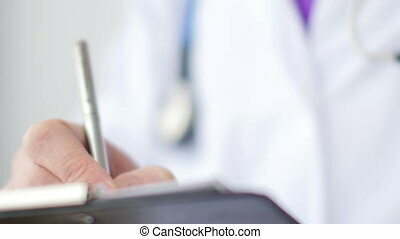 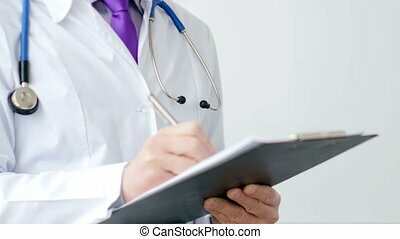 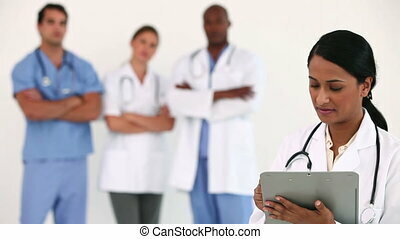 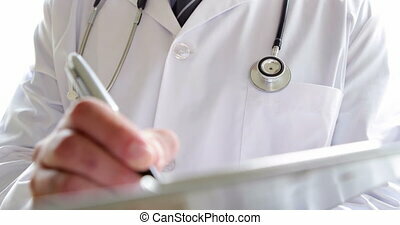 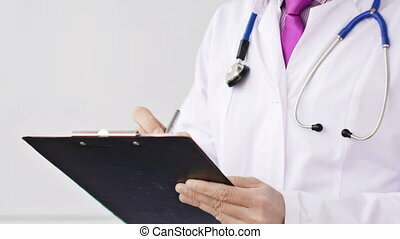 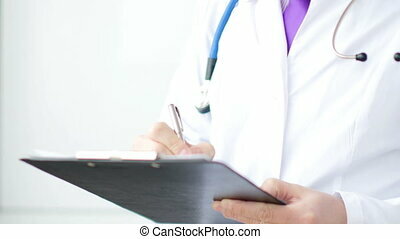 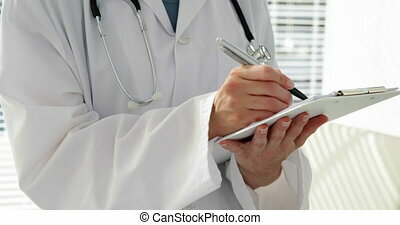 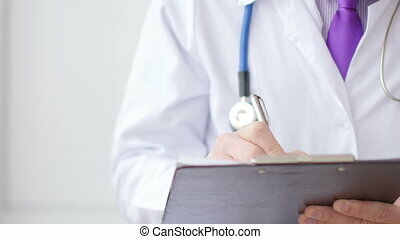 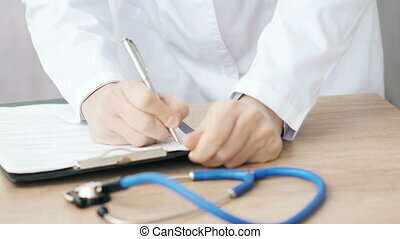 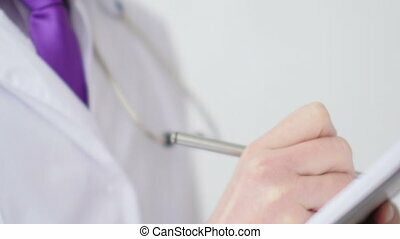 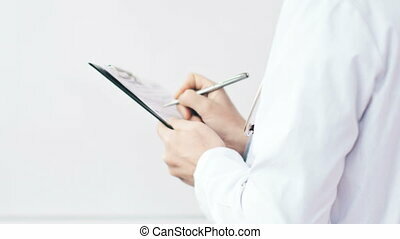 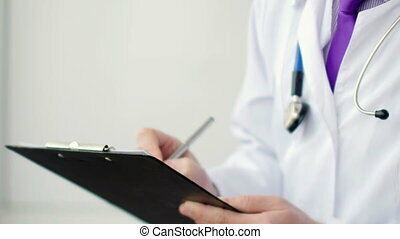 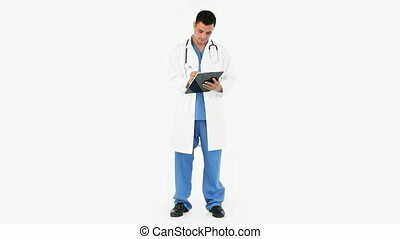 Doctor writing on a clipboard in the hospital. 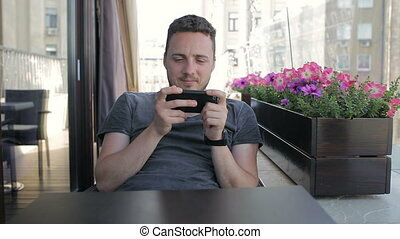 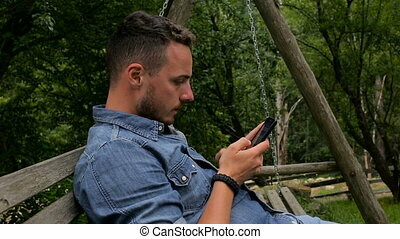 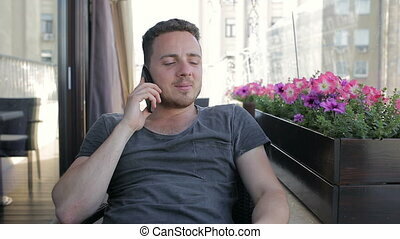 Man writing a message and swinging on the backyard. 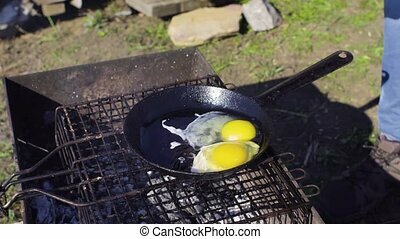 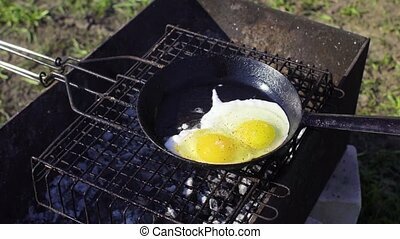 eggs cooked on a frying pan in the backyard.